Today’s ASX junior presents a true value story. 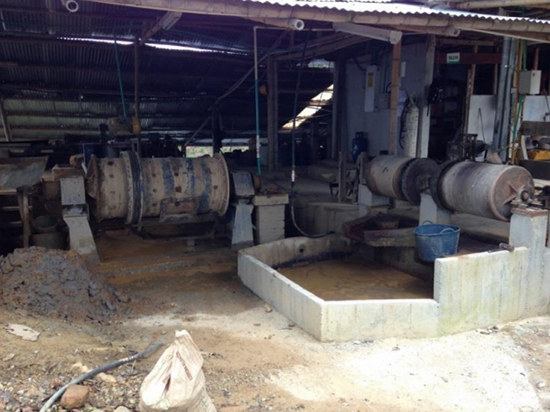 It has a portfolio of gold projects in one of the most underexplored countries globally: Colombia. Its flagship project is located in the Andean Cauca Belt which, like the region overall, comes with extensive upside gold exploration potential. Colombia is now attracting increasing attention from major international investors, as well as gold explorers, including major resource companies. Activity has ramped up in the last decade, during which time more than 50 million new reportable ounces of gold were discovered. Plenty of attention has been focused on the country’s Andean Cauca Belt, in particular, which happens to be home to a number of huge gold deposits owned by some of the biggest miners in the business. These gold giants include the 28 million oz. La Colosa owned by mining heavyweight, $3.4 billion-capped AngloGold Ashanti (JSE:ANG), as well as Gran Colombia Gold Corp.’s (TSX:GCM) 8.6 million oz Marmato Mine. Add to that the Colombian asset portfolio of today’s $7.6 million-capped ASX junior, that’s also listed on London’s AIM market. Its portfolio includes a ‘very large’ porphyry gold prospect located on the mid-Cauca Porphyry Belt right between the La Colosa mine to the south, and the Marmato mine to the north. Two prospects in particular have been identified as having the potential to be the next giant multi-million ounce gold deposits. The company’s portfolio of assets offers a great deal of regional upside with outstanding historic drill intercepts having not yet been pursued. However what comes of MNC’s pursuit is yet to be determined, so investors should seek professional financial advice if considering this stock for their portfolio. With new funding and a refreshed Board, the company is drilling down its focus to concentrate on its major exploration prospects in Colombia. This micro-capped junior offers savvy small cap investors an opportunity to be a part of its growth story — in a well-trodden region that’s seen some big name resource companies go before it. A big drawcard for potential investors is that the company’s current market valuation reflects zero visibility of its exploration assets. However, this could be about to change. Armed with fresh capital, the company will be better placed to progress these prospects, which have the potential to be developed into major gold projects. Backed by a newly-revised executive team, fresh capital and a bold strategy, today’s gold junior plans to significantly cut costs, divest non-core assets, and progress on the rapid exploitation of its immediate opportunities — all of which is likely to draw attention from all the right places. Dual listed on both the ASX and London’s AIM markets, junior gold explorer Metminco (ASX:MNC | LON:MNC) is in possession of a portfolio of gold exploration assets in Colombia. Colombia, a country of opportunities, is at the forefront of a global gold rush. And its mining sector has renewed support of a government set on boosting economic growth. Colombia’s government is highly supportive of foreign investment and has the highest ranked investor protection in Latin America, and the sixth worldwide, according to the World Bank. It also ranks third in Latin America in the World Bank’s Ease of Doing Business report. The country has one of the lowest inflation rates in Latin America, as well as free trade agreements with eight trading partners including the US, EU and more than 100 designated free-trade zones. Mining is already a significant sector of the Colombian economy and one of the country’s largest export sectors and its mining friendly government intends to expand on this. It is heavily investing in transport infrastructure and has plans to invest around US$30 billion as part of its Fourth Generation (4G) road infrastructure program — that’s around four times the investment made in the Panama Canal. This program is part of a larger infrastructure building spree of around US$70 billion that’s planned for the country. While it remains one of the world’s most underexplored countries, Colombia is already a top 20 gold producer globally. It also boasts the world’s fourth largest global gold resource concentration, measured by ounce per square kilometre, after Ghana, Chile, and South Africa based on in-situ resources as of 2012. These attributes haven’t gone unnoticed by the ‘sophisticated money’. A number of major international investors, as well as big name mining companies have moved to gain exposure to Colombia’s gold sector. 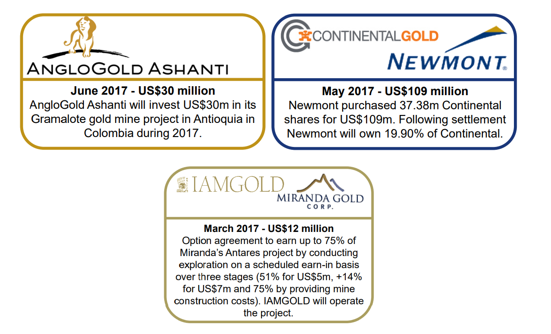 Along with the aforementioned AngloGold Ashanti, US$20.6 billion-capped Newmont Mining Corp (NYSE:NEM), and US$3.6 billion IAMGOLD (TSX:IMG) each have operations in Colombia. As for MNC, when it first listed on the ASX back in 2007, it was developing large copper assets in Chile and Peru. Despite the GFC years, MNC never left South America, and are now in Colombia where it acquired a portfolio of gold assets in 2016 from RMB Australia Holdings Ltd. The acquisition included 100% of the Quinchia Gold Portfolio. 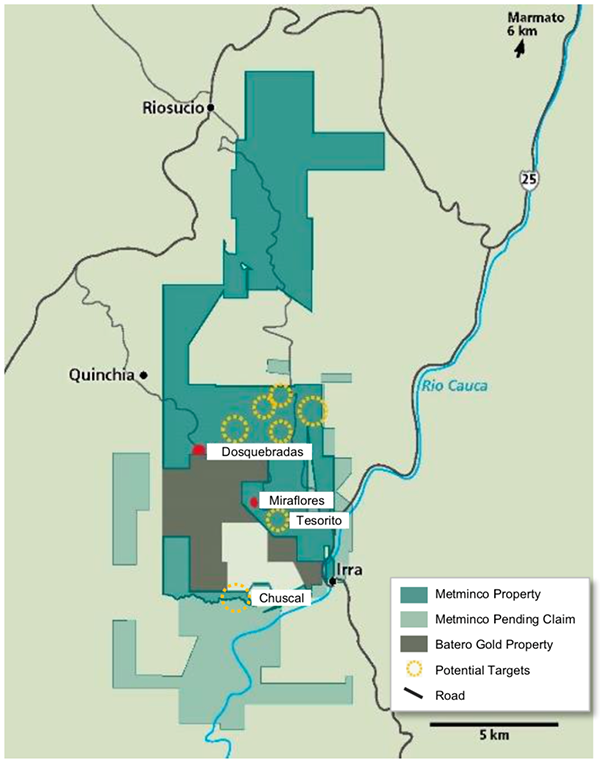 The Quinchia Portfolio, which covers 6,043 hectares of granted concessions and an additional 3,792 hectares of pending applications, contains several deposits and exploration targets. More than 40,000 metres of drilling has already been completed at the Quinchia portfolio to date. MNC will now focus its efforts on two key exploration assets within the gold portfolio which it has identified as ‘Low Hanging Fruit’: its 100%-owned Tesorito prospect (384m at 1.01g/t gold, 0.90g/t silver and 0.080% copper) and the huge, high grade gold prospect of Chuscal, which is subject to negotiation with AngloGold. MNC’s portfolio also includes the Miraflores and the Dosquebradas prospects. All four prospects are marked on the map below. Until recently, MNC was focused first and foremost on the development of the Miraflores underground gold mine at Quinchia. However, the Board has decided that exploration should be accelerated. 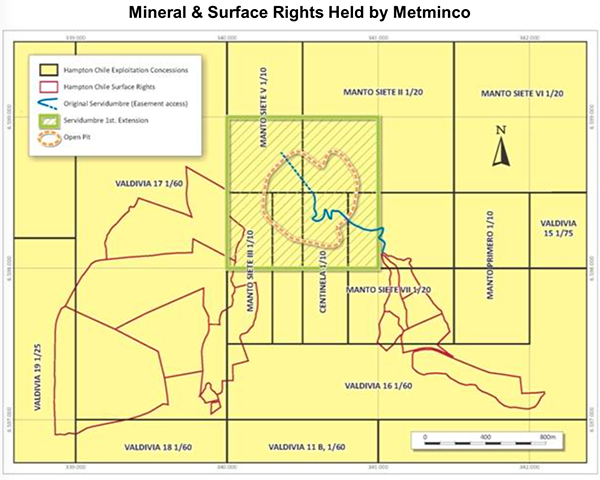 That being the case, MNC’s revised Board will focus on driving the Company’s valuation through advancing the two key exploration prospects — Chuscal and Tesorito whilst the Miraflores permitting process continues. It should be noted that this remains a speculative stock and investors should take all publicly available information into account when making an investment decision. The previous owners had drilled three diamond holes at the Tesorito prospect, all mineralised from the surface, all with more than 250m of gold mineralisation. Of the three holes drilled, one intercept included more than 1g/t gold over 384m from surface. The prospect exhibits a high grade veining system as indicated by previous drilling. MNC has plans to commence a three-hole drilling programme at Tesorito in late May 2018 with the purpose of confirming the prospect and also drilling the large adjacent chargeability anomaly seen in the figure above. MNC’s second area of exploration focus at Quinchia is the Chuscal prospect, which is under negotiation with AngloGold. The prospect hosts a large undrilled 0.5g/t gold geochemical anomaly as well as artisanal mining with channel grades up to 160 g/t gold. The prospect has seen artisanal underground working with small milling and gravity circuit. The mineralisation is both high grade veins and lower grade stockworks, while underground channel sampling shows consistent high grades. The titles under the Chuscal Prospect are subject to negotiation with AngloGold Ashanti. MNC hopes to arrive at a formalised agreement later this year, at which point it plans to conduct geophysics and drilling once the application has been granted. Gold geochemical anomalies of more than 100ppb are present on the majority of the area, including 500m x 250m at 0.5g/t gold. In a major development just last month, MNC completed a fully underwritten renounceable entitlement offer that was announced in March, raising ~A$5.6 million through the issuance of 694,831,892 new ordinary shares at a price of 0.8 cents per share. 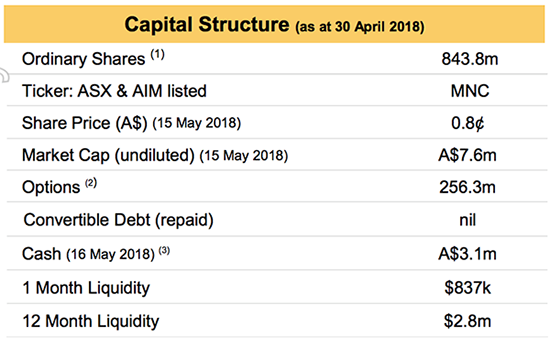 The money kept flowing in for the micro-cap last week, with MNC receiving firm commitments for a further placement to raise another A$549,877. This boost to the bank balance will help MNC pay down debt and re-relaunch its exploration activities at the Tesorito gold prospect in Colombia. The small cap announced changes to its board in March including the appointment of Kevin Wilson as Executive Chairman. Wilson boasts over 30 years’ experience in the minerals and finance industries, including a role as Managing Director of the Victorian gold mining company, Leviathan Resources, and Managing Director of an Australian energy exploration company. Wilson also brings experience as a geologist with the Anglo American Group in Africa and North America and as a stockbroking analyst and investment banker with CS First Boston and Merrill Lynch in Australia and the US. He is currently a Non-Executive Director of Investigator Resources Limited (ASX:IVR) and Non-Executive Chairman of Navarre Minerals Limited (ASX:NML). Navarre Minerals is a company that we’ve been covering at the Next Small Cap for over four years, during which time we’ve witnessed its share price rise from a low of 2 cents per share, to a high of 15 cents. MNC’s new Board, with Wilson on deck, has approved a strategy that favours an immediate focus on fleshing out the significant potential of the Colombian gold exploration assets in Quinchia. This includes the commencement of a drilling program on the Tesorito prospect, as well as gaining access to the Chuscal prospect, whilst continuing with the permitting at Miraflores. 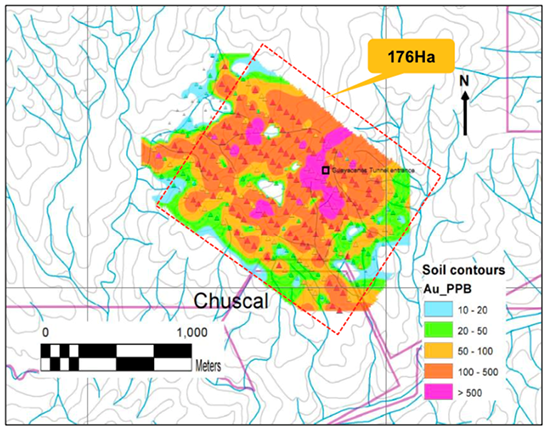 As we’ve seen, both Tesorito and Chuscal are highly prospective gold exploration targets. At the same time, the plan involves continuing with the permitting of the Miraflores project as MNC keeps its eye on the prize: its prime options for gold production. The management re-shuffle also saw William Howe accept a new role with the company as Chief Operating Officer in Colombia. MNC has a number of non-core assets in its portfolio in Chile, including the Mollacas Project and the Vallecillo Project, which the revised management team is looking to offload to allow more capital to be directed to its favoured exploits- the Quinchia Gold portfolio. Mollacas is a copper leach project discovery, for which MNC hold the mineral and surface rights. MNC holds title to 21 Exploitation Licenses covering 179 hectares of surface rights, as well as water rights to approximately 175 litres/sec from two canals. There’s strong buyer interest in the project with the land estimated to be worth several A$ million. MNC’s second non-core asset in Chile is the Vallecillo Project — a gold-zinc discovery 50 kilometres northeast of Ovalle that covers an area of 179 square kilometres. 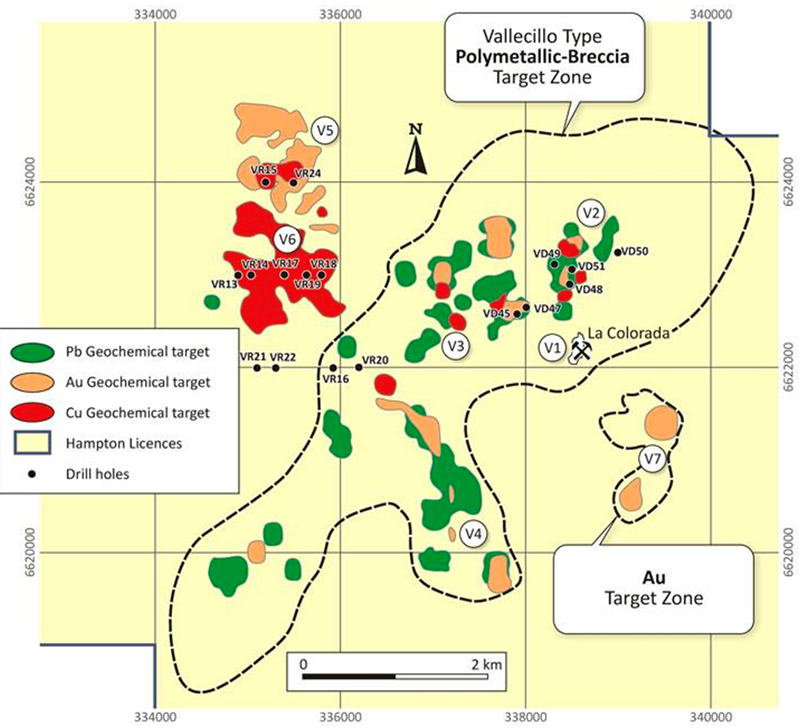 Vallecillo’s porphyry related base and precious metal mineralisation contains gold, silver, zinc, lead and copper. It has a JORC (2004) Mineral Resource and Contained Metal Content of 8.1Mt measured, indicated and inferred Resource at 0.82g/t gold, 10.06g/t silver, 1.06% zinc, 0.06% copper and 0.33% lead. This Resource is ready to be updated and as the company describe it, is ‘dressed up for sale’. The sale of these non-core assets would confirm management’s intent to focus on its core world-class Colombian gold assets which hold the greatest potential of all assets in MNC’s existing portfolio. With fresh funds and a fresh face at the helm, the company has successfully ushered in a new chapter of its journey. It has a first-class exploration portfolio packed with potential, and enough cash to kick off exploration activities in the near-term. 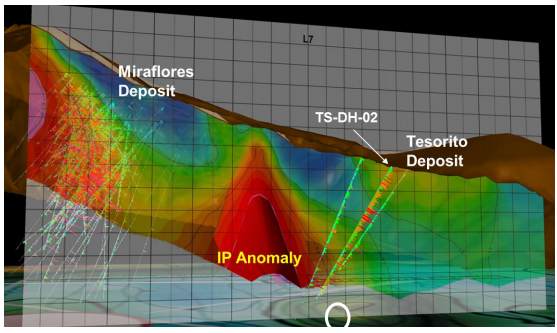 The Chuscal and Tesorito prospects are high impact exploration assets, prospective for high-grade gold in close proximity to a proposed mine site at Miraflores. The revised focus on near term exploration success provides a better short term targeted exploration approach for shareholders whilst the progress at Miraflores shows a potential route to eventual production. 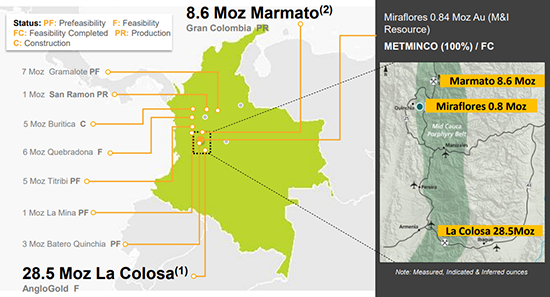 At MNC’s current market cap of just A$7.59 million, its seems the market is yet to recognise the value of its exploration assets in Colombia, even though these have major potential to produce a significant discovery. Although this remains an early stage play and investors should seek professional financial advice if considering this stock for their portfolio. As meaningful exploration gets underway over the coming months, MNC could see a corresponding lift its market capitalisation. The focus of the new team is to drill Tesorito as soon as possible, then complete negotiations with AngloGold regarding the Chuscal prospect, with the goal of commencing exploration activity there later in the year. Recently raised capital, in combination with the proceeds from the sale of MNC’s non-core Chilean assets, should certainly come in handy for MNC as it continues to explore and develop its high-potential assets. Backed by a healthy gold price and operating in a mining friendly jurisdiction, this reinvigorated small cap could well be on the path towards getting its hands on some Colombian gold.